As appeared in The Morning Call on January 19, 2016 by Nicole Radzievich. BETHLEHEM — Behind the warped marble facade of the Boyd Theatre in Bethlehem yawns a tangle of trash and treasure. The crystal-beaded chandelier that once hung as a showpiece collects dust on the floor behind worn, yellow curtains. Not far are boxes of red and blue plastic letters once used to announce movie titles on the marquee. An old poster of Charlie Chaplin and John Wayne hangs in the lobby, while the concession stand — including an ice cream bar — sits barren. Dust covers everything, including some seats with the emblem “C” from its earlier days as the Colonial. The haunting beauty of the 1,100-seat Boyd has captured the imagination of several developers since it closed for repairs in 2011, but just recently landed in the hands of Bethlehem-Boyd L.P. In a New Year’s Eve deal with little fanfare, the company closed on the property for $1.35 million. The face behind the company is Charles Jefferson, a veteran developer and operating owner of Montage Mountain Ski Resort near Scranton. He is reticent to share what he has in mind for the Boyd, other than he doesn’t plan to demolish it. Cosmetically, he said, the 1921 theater needs work, but the building is structurally sound. PHOTO GALLERY: Charles C. Jefferson is excited about downtown Bethlehem, but has yet to announce his plans to rebuild the Boyd. 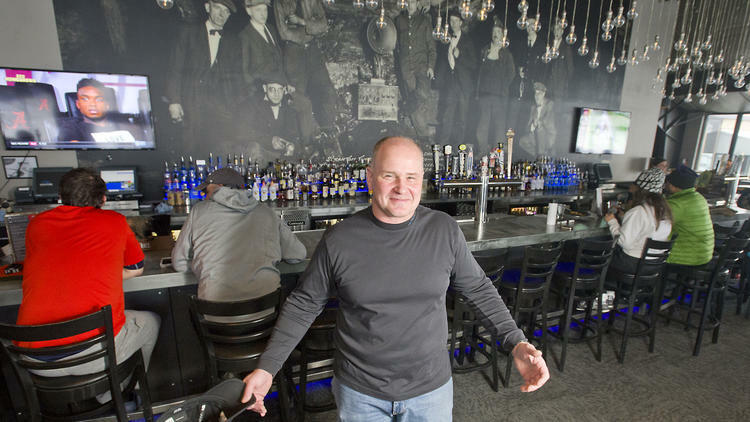 Jefferson, 50, of Montgomery County, wants to remake the shuttered building into something relevant for today’s market as he has done with projects in Scranton. It would be easier, he said, to start from scratch in a cornfield, but that’s not where he comes from. “I grew up with nothing, and I learned you have to fix what you have,” Jefferson said. He was raised in a row home near Philadelphia, and his mom stayed at home while his dad commuted to Allentown for work at a printing company and later worked as a school janitor. Today, after undertaking more than $100 million of development on his own and even more for other companies, Jefferson still carries a humble demeanor. He is known simply as “Charlie” by those who do business with him. Bob Durkin, president and CEO of the Greater Scranton Chamber of Commerce, said Jefferson has a reputation of getting things done. He doesn’t just sit around and talk about a project — he acts. During a recent interview, Jefferson wore faded blue jeans and a black, long-sleeved T-shirt as he showed off the Montage Mountain Ski Resort lodge. He was congenial but would not comment on his plans for the Boyd. He said he avoids speaking in “absolutes,” saying he wants to make sure the right plan is in place before making promises. “It’s all about figuring out the asset that you have, what that potential is, and then unlocking that potential,” Jefferson said. He learned some of those lessons during his early employment as an operations manager at ServiceMaster, a residential and commercial service industry that now includes brands such as Merry Maids and Terminix. Jefferson worked for the company’s educational division from 1987-96. While working, he took evening classes at Temple University. There he earned his undergraduate degree and master’s of business administration. The company reimbursed the tuition, depending on the grade. With 100 percent reimbursement for an A, Jefferson said he got all As. He later worked for the real estate arm of Drexel University and later Brown Hill Development where, as director of development, he undertook several projects including the first residential high rise in Old City in Philadelphia. EMILY PAINE / MORNING CALL FILE PHOTO The Boyd Theatre at 30 Broad Street in Bethlehem. 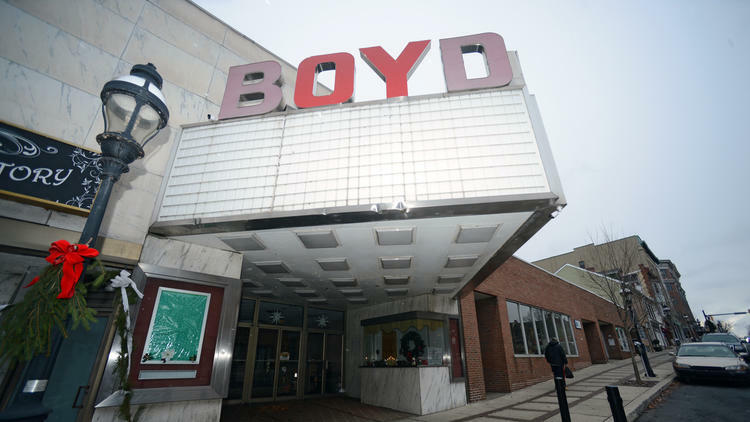 The theatre was a venue that featured live performances dating back to the vaudeville era, the Boyd became the place to see first-run movies in Bethlehem. By 2005, Jefferson was named vice president of development at Campus Apartments, Inc., where he managed the company’s portfolio of $150 million of housing for colleges including Moravian College in Bethlehem. Campus Apartments had partnered with Lou Pektor’s Ashley Development to redevelop a former silk mill on West Goepp Street for student housing, but ultimately sold the property after a fire gutted it. Since starting his own company, Jefferson-Werner LLC, Jefferson said his company has undertaken more than $100 million of development. He’s spearheaded a development of 50,000 square feet of retail and 393 beds of student housing at Franklin & Marshall College in Lancaster and transformed the Seneca Hotel in downtown Columbus, Ohio, into a 76-unit residential housing complex serving Columbus College of Art and Design, Columbus State and Capital University Law School. He has made his mark in the Scranton area, from where his mother’s family hails. He was among the investors in 2013 who snatched up Sno Mountain Resort and Sno Cove water park from bankruptcy, recasting the tourist destination under its original name, Montage Mountain Ski Resort and Montage Mountain Waterpark. Jefferson and his partners retooled the lodge, making a more urban-style lodge bar and playing on the institutional look of the buildings that were constructed by Lackawanna County years ago. For a photo above the lodge’s bar, he pored over 1,500 historic photographs from the Lackawanna Historical Society before settling on one of a coal mine. The people are dressed in suits and bow ties, 300 feet beneath the earth’s surface. But, perhaps a more appropriate example of the work he’s done is in downtown Scranton. He is rehabilitating the city’s oldest vaudeville theater, a 19th-century venue that hosted musical acts, social clubs and, once, a speakeasy until it fell on hard times. He capitalized on the building’s history, engaging the public in a naming campaign in which he finally settled on The Leonard, the name of a longtime hardware store that once anchored the storefronts on the property. The project is not complete, but it has been open for several events, including the Scranton Fringe Festival, an arts festival for regional and touring artists. Jefferson said projects like those are what really raise the quality of life in cities outsidemajor metropolitan areas. That, he said, will not only lure older folks back to the city but also attract people who love urban life but might not want the costs associated with living in a major metropolitan area. Many of his signature projects around downtown Scranton follow that model. He turned the former Chamber of Commerce Building — a 1928 art deco limestone standing 4 1/2 stories — into 40 market-rate residential rental units and four street-level shops. She pointed to Colonial Lofts, a 166,000-square-foot office building he turned into 89 market-rate residences, 35,000 square feet of offices and six street-level storefronts. Jefferson undertook the project in 2008 — just as the housing market crash and financing dried up. Jefferson put together a complicated portfolio of capital, drawing on various tax credits, grants, equity and financing to pay for the project. Jefferson is no stranger to the Lehigh Valley. He was among those eyeing Easton’s former Simon Silk Mill, which eventually went to developer Mark Mulligan. And Jefferson is the developer behind Lehigh Valley Charter High School for the Arts in south Bethlehem, home to 552 students from 46 school districts. Tony Hanna, executive director of the Bethlehem Redevelopment Authority, said Jefferson’s creativity was key in getting that challenging project financed. Without Jefferson, he said, the charter school likely would not have been built as it is. It’s a reputation like that that makes Don Cunningham, president and CEO of Lehigh Valley Economic Development Corp., optimistic about the Boyd’s future. The Boyd has been closed for about five years and, over the last year, businesses have abandoned the storefronts because of water damage. Bethlehem Planning Commission declared the property blighted Thursday , positioning the property for possible grants, but maintaining some pressure on Jefferson to restore the building or lose the property to eminent domain. Jefferson is quick to temper the attention and expectations, granting few interviews over the years. Projects, he often tells those he works with, are never about the developer but the development. You get in trouble when the project becomes about you. Instead, he focuses on the details of his projects. Above the lodge bar at Montage Mountain he created a lighting display out of sphere-shaped LED lights, nickel-plated sockets and a track. From the dinner tables at the lodge, the lights seem to dangle at different lengths, a composition looking completely random. But from the side, the lights appear perfectly aligned — a visual reward for patrons bellying up to the bar and, perhaps, a reminder that Jefferson usually has a plan.